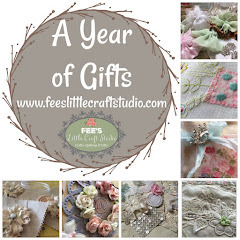 Fee's Little Craft Studio: I Won My First Blog Draw !!!!! I am so excited ............. 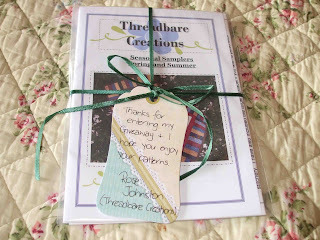 I won my first blog draw over at Threadbare Creations and my prize arrived in the mail today. 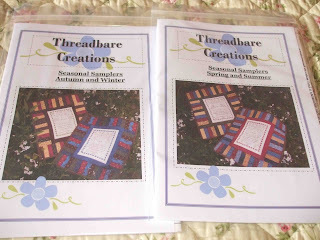 It was the patterns to make all 4 seasonal samplers. Thank you so much Rose - I love them and can't wait to get started on them. They have fantastic easy to follow instructions so grab a copy to do over the winter period. 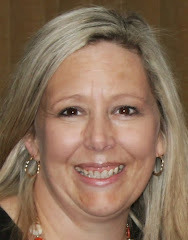 Rose's blog has links to where they are available for purchase. As part of my new lifestyle changes I had today off work which will now be a permanent day off every week and I enjoyed my day very much. 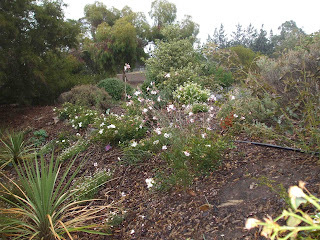 Later this afternoon it rained quiet heavily which was great for the garden. The rain also brought out some little visitors to my pond near the back door. 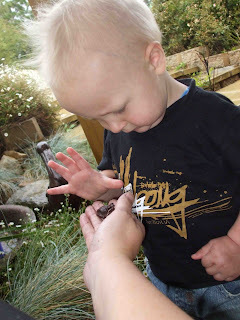 Thomas adores frogs and I have little ceramic ones hidden throughout the garden for him to spot but this was the first time that he had actually met one in person. It was just so lovely for him he loved every minute. The little frog jumped off Sam's hand and back into the pond. The look on Tom's face was priceless but unfortunately I was too busy watching to snap a shot - DAMN !!!! On the sewing front I am busy sewing away on projects that I can't show you as they are swap gifts for the Easter Swap, Redwork Swap, Spring Swap & Hot Pad Swap. I am having so much fun with them all. 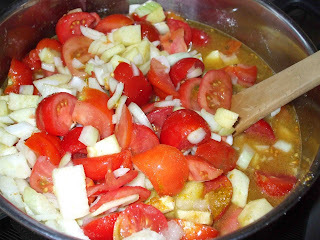 I am off now to bottle this tomato relish that I have started to cook tonight. The look on his face in those pics are priceless as well! If he has been used to seeing stationary frogs it must have been a big surprise to see one that moves. 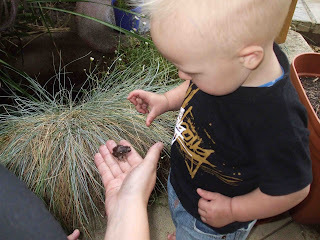 Love the photos of Thomas and the frog, how cute!! 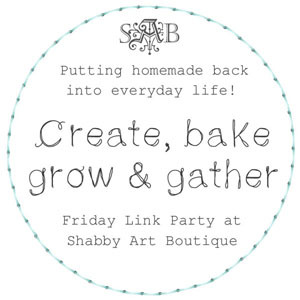 Glad you received your patterns and I hope you have fun stitching them!! 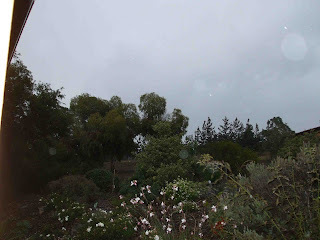 What a wonderful rainy day, full of memories and tomato relish to enjoy later as well.